Active Retirement Living - and generating an Income! 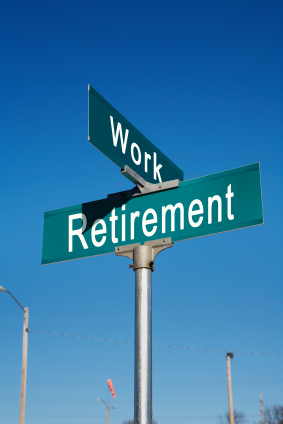 Retirement jobs–sounds like an oxymoron! It is indeed strange to find the words ‘retirement’ and ‘jobs’ in the same sentence. And yet, people may seek senior jobs to supplement retirement income, or may continue to work for personal satisfaction. Often, seniors retire from one career only to begin another. Hopefully, your retirement financial planning has ensured that you are supported in some manner. So, retirement jobs for seniors are not just about the money. Are you still working Greg? I was bemused by the question. I was only 58 at the time, healthy and energetic, filling a leading role in an expanding company, and loving my work. Not only was I still working but I had no intention of stopping completely after I retired. My ideal vision of retirement involved staying in the workforce. I wanted to pursue a second career, using my best skills and experience accumulated over decades. But I wanted more leisure time with family and friends, than I had in full time employment. By way of contrast, around the same time I was doing a Coaching course at the Irish Management Institute, and I said to one of my classmates that if my health, energy and motivation held up, I could see myself working until I was 70. 'Why put any age limit on it Greg, she replied.' I liked that sentiment. My friend in the pub was reflecting a traditional view, collect your watch and retire to a life of leisure. It used to be ... retirement jobs ... no way! But the Baby Boomers see retirement from their primary career differently. A Merrill Lynch US survey found that 76% of that generation plan to do some work in retirement. Why would people want to pursue a second career in retirement? One of the main reasons is Money. The global financial crisis has reduced the value of houses and savings/investment portfolios so that additional income is required. Even if you are one of the fortunate few for whom extra income is not a priority, there are other reasons why you might want to continue working. An acquaintance of mine, Damien, is the quintessential extrovert. Sometimes I envy him! He appears so comfortable and at ease meeting customers and in social situations. He is energetic and enthusiastic in the presence of people. He is in his late forties and a long way off retirement. When the time comes, if I were coaching him, I would remind him to seek retirement jobs or retirement hobbies that maintained his involvement with people. (Read - Personality and Job Choice Joe's Story). Another reason for continuing to work is the fear of adjusting to a different lifestyle. People who dont realise that I am in active retirement often ask me if I get bored or if I have a problem filling my days! I didnt simply retire from my primary career; I retired to do something else. Or maybe, like Michael's Story - you are bored! You believe you are not finished after 40 years working. You want to continue learning, challenging yourself and deriving satisfaction from a job. Whatever your reason for seeking a retirement job, the good news is jobs are available for the over fifties! Sure the current climate is challenging, there are fewer jobs and more candidates, but the recession wont last forever. True, you are not so young anymore but you do have the freedom to do something you would love to do, really want to do. Why not aim for a job that feeds your self-esteem by the very doing of it, because you get to use the skills you most love to use, in the field you most love to work in, moving towards those goals you would most love to accomplish? What you don't want is a job that does not suit your personality. My chosen field for post-career work was Business and Personal Coaching. I had a lifelong interest in learning and personal development, and now I was enthusiastic to share this with others. It would also serve to supplement my retirement income.